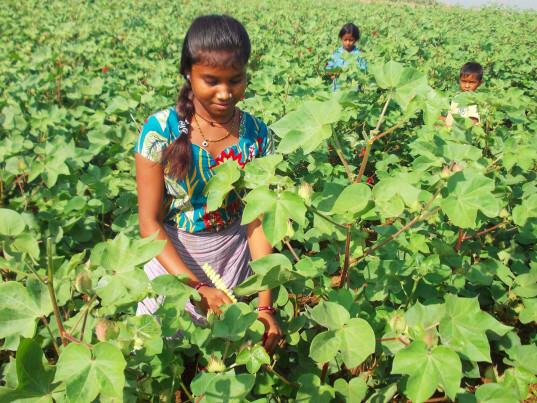 A new report by the Stop Child Labour Coalition and the India Committee of the Netherlands has revealed that 60 percent of cotton seed farm laborers in India are children. Appropriately entitled “Cotton’s Forgotten Children,” the in-depth report has shown that most of these farm workers are under the age of 18, many under 14 years old. The report is part of an effort to crack down on child labor in India, which has risen since 2010. Lead by long time child labor issues advocate Davuluri Venkateswarlu, the report has examined India’s cottenseed industry, which supplies garment retailers and manufacturers around the world. Venkateswarlu has found that nearly half a million Indian children are currently employed by the country’s farms, an increase of 100,000 since the last study was conducted in 2010. Of these children farm workers, around 200,000 are extremely young, below the age of 14. These kids below 14 account for 25 percent of all farm laborers in India, while children 14 to 18 account for 35 percent, proving that the cotton industry in India is toiled largely by kids. The children farmers are required to work 8 to 12 hour days in hot fields where they are continuously exposed to pesticides. The report also discusses wages that are below minimum wage, found especially in female workers. The report lays blame largely on Indian state governments for not acknowledging the severity of these issues. 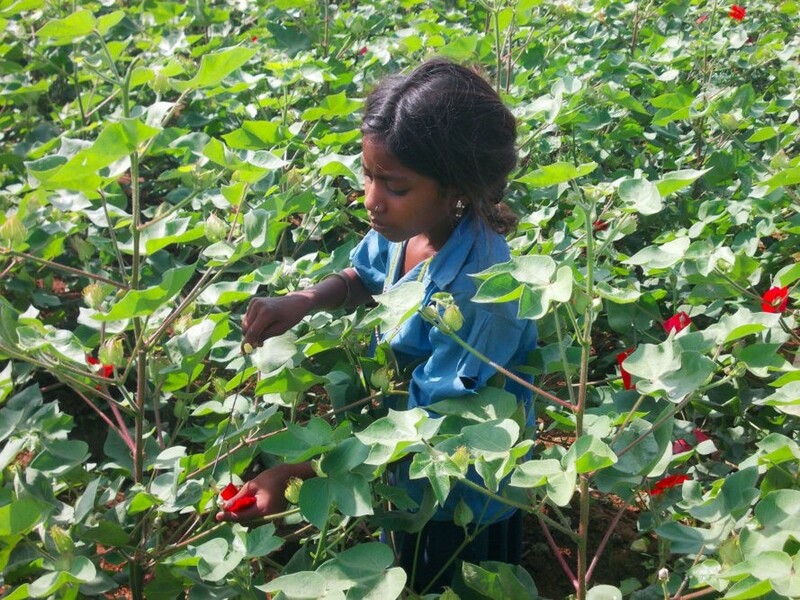 A new report by the Stop Child Labour Coalition and the India Committee of the Netherlands has revealed that 60 percent of cotton seed farm laborers in India are children. Appropriately entitled �Cotton�s Forgotten Children,� the in-depth report has shown that most of these farm workers are under the age of 18, many under 14 years old. The report is part of an effort to crack down on child labor in India, which has risen since 2010.